Lithium-ion batteries have been used in uninterruptible power supplies (UPSs) for several years now, providing benefits including a longer battery life, smaller size and weight, and lower total cost of ownership vs. traditional UPS lead acid batteries. But a nagging question persists: are Lithium-ion batteries safe? In short, the answer is, yes, Lithium-ion batteries are safe, providing the underlying chemistry is sound and they have a proper enclosure. In this post, I hope to directly address this question by explaining some of the myriad features and solutions available on UPSs to ensure battery safety. The chief issue that can lead to problems with Lithium-ion batteries is thermal runaway, which is essentially overheating. In certain instances, thermal runaway can occur from rapid increases in temperature, if the battery is damaged, or suffers a short-circuit. In simple terms, the battery releases too much energy for its enclosure to handle, causing overheating. But with proper chemistry and attention to battery enclosures, there are effective ways to contain and/or prevent thermal runaway in Lithium-ion batteries. In fact, multiple standards and certifications now exist for Lithium-ion batteries that address these safety features, among other issues. One of these certifications is UL1973, which covers the use of battery systems for “stationary” applications including UPSs. It outlines critical safety assessments of Lithium-ion battery chemistries, and enclosures that help prevent thermal runaway. It has been adopted by the American National Standards Institute as a standard for North America. Another standard, UL1642 Standard for Lithium Batteries, applies to Lithium-ion battery cells and outlines specifications intended to reduce the risk of fire or explosion. For the record, the batteries APC by Schneider Electric uses in its UPSs comply with all four of these standards. Lithium-ion batteries used in UPSs also include a battery management system (BMS) to monitor and control the energy flow in the battery pack, which also promotes safety. The BMS is made up of microprocessors, sensors and switches and related circuits. At the cell level, it constantly monitors battery temperature, charge level, and charge rate to protect against short circuits and over-charging. Lithium-ion UPS batteries also have a dedicated fuse inside the battery pack, again to prevent it from overheating. While all Lithium-ion batteries use lithium in some fashion, they do employ different cell chemistries, which yield varying results in terms of specific energy, power, safety, performance, lifespan and cost. APC uses chemistry that comes with some of the highest safety ratings, while also delivering high performance and the longest lifespan – at a moderate cost. So not only do these batteries provide Certainty in a Connected World, Lithium-ion-based UPSs present numerous benefits, including longer life and lower total cost of ownership (TCO). But you do need to ensure that your UPS vendor has the experience required to understand what it takes to build a truly safe Lithium-ion-based UPS. APC certainly does, having been shipping Lithium-ion-based UPSs since 2013. 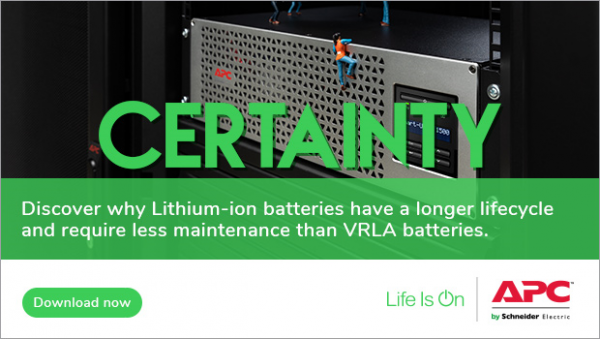 To learn more, download the free white paper, “Battery Technology for Single Phase UPS Systems: VRLA vs. Li-ion.” It includes a discussion of safety as well as a detailed TCO analysis, which I suspect will only further your interest in Lithium-ion. 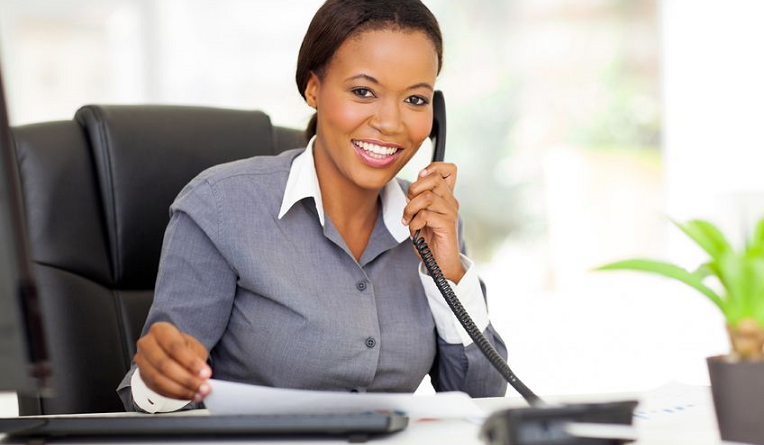 Explore the benefits of APC Smart-UPS with Lithium-Ion battery technology for your business. Why not use Lithium Iron Phosphate batteries. Would seem to be a better solution.